• Increase the Brand Awareness and Generate the Prescription. • Responsible for Area Sales Development. • To meet and communicate with Doctors and promote the products. • To meet and communicate with Customers and collect order. • To monitor Competitor Activities and Products. • To monitor Area Sales and Credit Accounts. • Build Doctors and Customers Data. • Daily report & giving feedback. • Planning Hospital visit schedule weekly. • Implements to achieve sales target. • To build business relationship with the prescribers. • To organize CME activity and Societies Activity. • Attending team meeting and continuous product polishing training. • Above post is preferable not more than 28 years old. 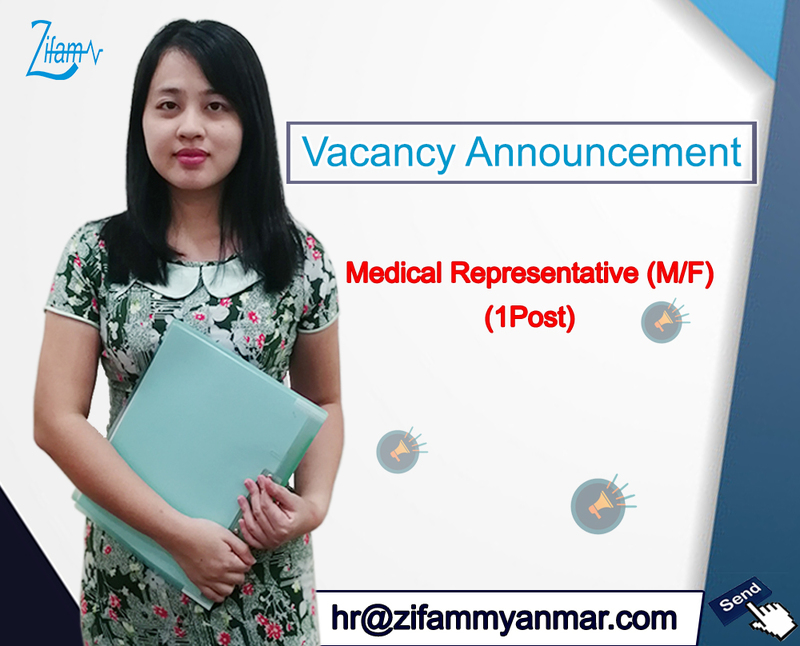 Interested candidates can be applied CV to Zifam Yangon Office.